Learn how Verv started with an IoT device to give consumers greater insight into their energy usage and developed it into a blockchain-based data and peer-to-peer energy trading platform. Maria holds an MEng degree in Electronic Systems Engineering from The University of Manchester. 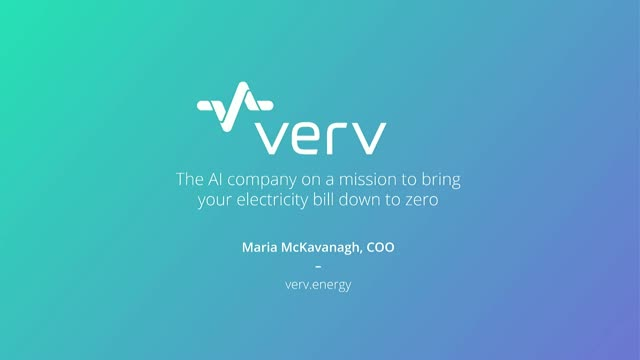 She is currently the Chief Operating Officer at Verv where they have developed a blockchain-based peer-to-peer energy trading platform and have launched a initial token offering. Previously she worked in Field Sales Engineering at NASDAQ data acquisition specialist National Instruments where she was responsible for a multi-million pound sales territory across a wide range of industries from Aerospace and Defence to Consumer Electronics. Earlier in her career she worked in telecommunications consulting, advising (among others) the European Railway Agency on future operational communications systems having spent time in postgraduate research studying RF and wireless sensor networks. For a long time, the architecture and best practices of storage networks have been relatively well-understood. Recently, however, advanced capabilities have been added to storage that could have broader impacts on networks than we think. The three main storage network transports - Fibre Channel, Ethernet, and InfiniBand – all have mechanisms to handle increased traffic, but they are not all affected or implemented the same way. For instance, placing a protocol such as NVMe over Fabrics can mean very different things when looking at one networking method in comparison to another. •What is Incast, what is head of line blocking, what is congestion, what is a slow drain, and when do these become problems on a network? In the short period from 2014-2018, Ethernet equipment vendors have announced big increases in line speeds, shipping 25, 50, and 100 Gigabits-per -second (Gb/s) speeds and announcing 200/400 Gb/s. At the same time Fibre Channel vendors have launched 32GFC, 64GFC and 128GFC technology while InfiniBand has reached 200Gb/s (called HDR) speeds. But who exactly is asking for these faster new networking speeds, and how will they use them? Are there servers, storage, and applications that can make good use of them? How are these new speeds achieved? Are new types of signaling, cables and transceivers required? How will changes in PCIe standards keep up? And do the faster speeds come with different distance limitations? Watch this SNIA Networking Storage Forum (NSF) webcast to learn how these new speeds are achieved, where they are likely to be deployed for storage, and what infrastructure changes are needed to support them.